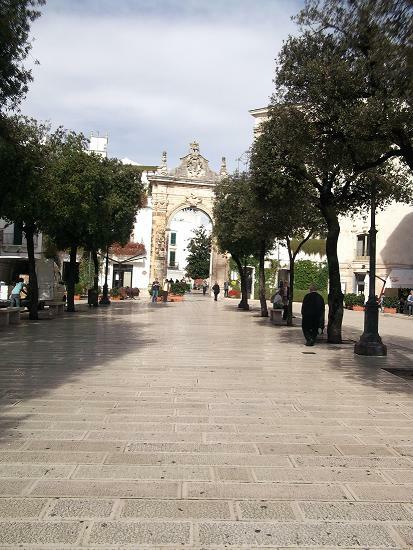 Situated in the sublime Valle d’Itria on the top of a hill at nearly 1,500 feet above sea level on the Murgia is the exquisite town of Martina Franca, with its famous historical centre. The to wn has a particularly beautiful “old city” surrounded by stone walls with prominent Baroque gates leading to piazzas and narrow, winding streets. Piazza di Roma is the largest open space in the old city, with a greenspace in the center of a largely triangular grass pattern, facing the 17th century Palazzo Ducale. Known as The Town of Festivals Martina Franca hosts the opera Festival della Valle d’Itria annually in July/August. It presents a variety of rather unusual operas.